Recreate those soft, butter mall pretzels at home in under 30 minutes (from start to finish!). 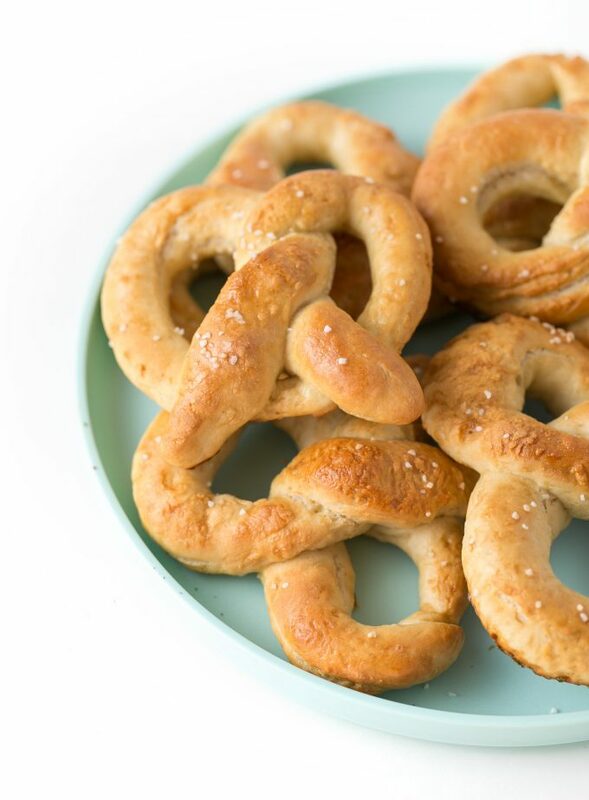 No mixer needed – just a spatula and a few simple ingredients to make homemade soft pretzels. 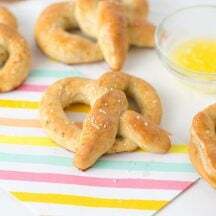 Homemade soft pretzels are perfect for after-school snacks, late night cravings, fun summer activities or party snacks. I don’t go to malls often but when I do, a trip to the overpriced (but OMG delicious) Pretzel Maker or Auntie Anne’s is in order. I truly believe that there are few things better in this world than a soft, buttery homemade pretzel. 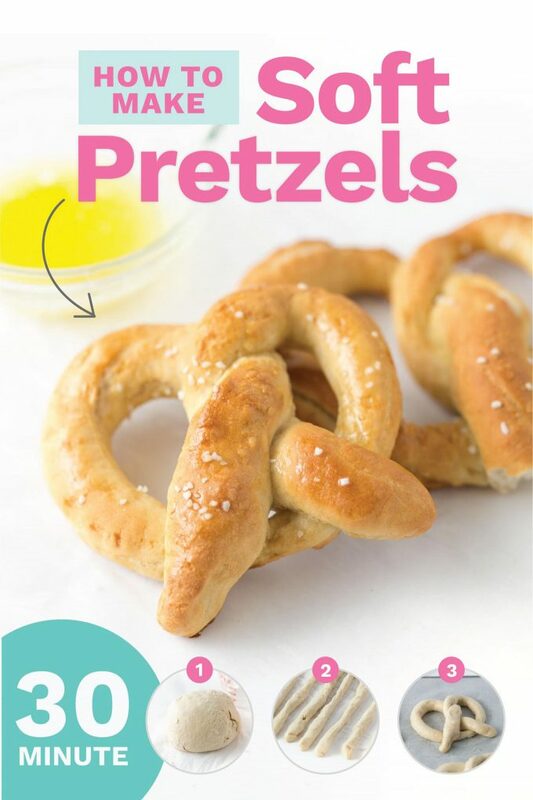 So today I’m sharing with you my copycat Auntie Anne’s homemade pretzel recipe because keeping something this good to myself would be the crime of the century and I’m just not that interested in being charged with a pretzel felony. They don’t take hours to raise; you can make them start to finish in under 30 minutes. You can make these homemade soft pretzels without a mixer or bread machine. They use all-purpose flour – no fancy bread flours needed. Most traditional pretzels recipes require you dip the dough in a boiling baking soda/water mixture. But ain’t nobody got the time or extra dishes for that. You can make these homemade pretzels without boiling. Typical homemade pretzel recipes require vegetable oil, but these can be made without oil (real butter only!). And of course, cheese or salted butter for dipping! 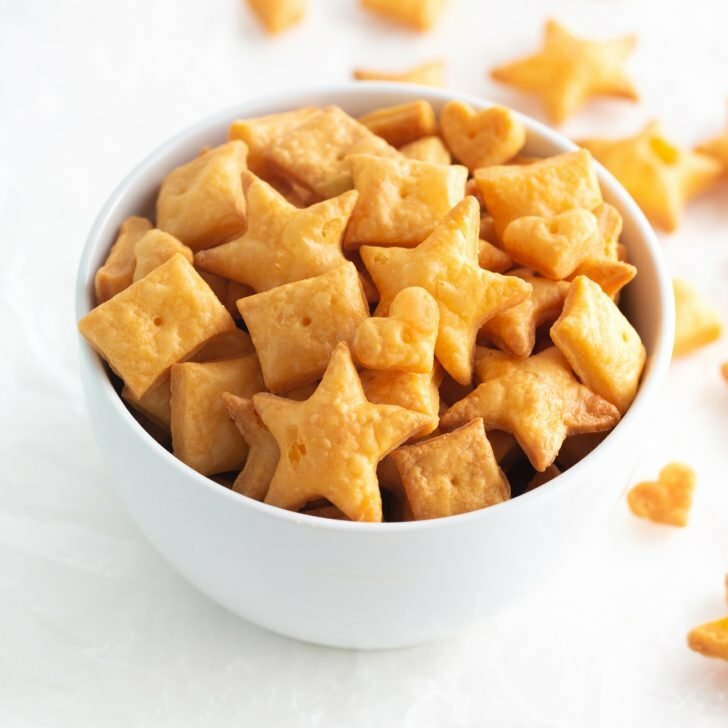 In a medium sized bowl or measuring cup, stir together 1.5 cups warm water, 2 packages of yeast, brown sugar and 3 tablespoons of melted butter. You can get the warm water directly from the faucet – no need to heat it up more. Let sit for 5 minutes. While the yeast is proofing, mix together the flour and salt in a large bowl. Use your hand to create a crater in the middle of the bowl. This is where you’ll pour the yeast mixture. After the 5 minutes are up, give the yeast mixture a stir and pour into the crater you created in the flour bowl. 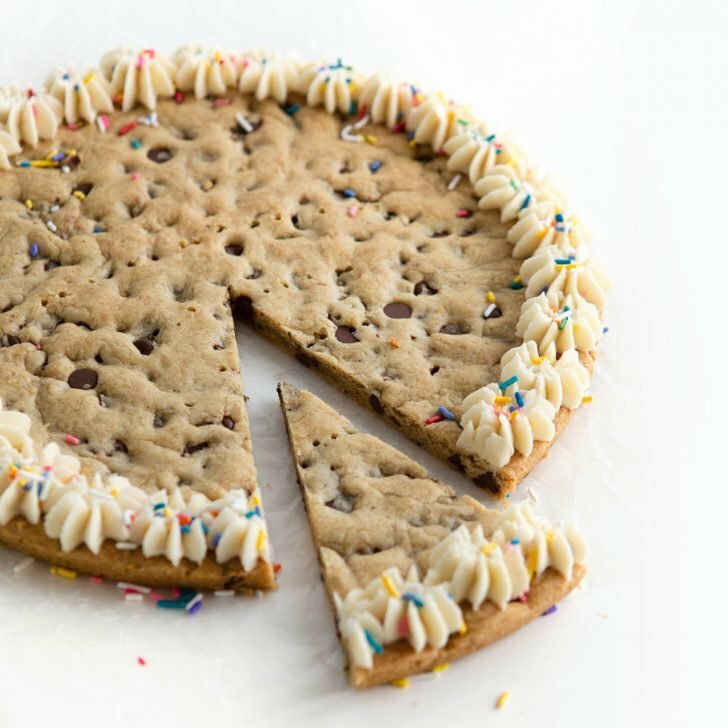 Use a spatula to mix the dough until it’s combined. Once all the flour is incorporated, use your hands to knead the dough into a solid ball. This should only take 1-2 minutes tops (any longer and you’ll overwork the dough). Place the dough ball back into the bowl, cover the bowl with plastic wrap (or a clean dish towel) and let sit for 10 minutes. This will allow the dough to rest & rise a tiny bit (it won’t rise much, which is fine). Using a knife, cut the dough into 12 even sections (you can make larger pretzels by cutting it into 6-8 for sections). 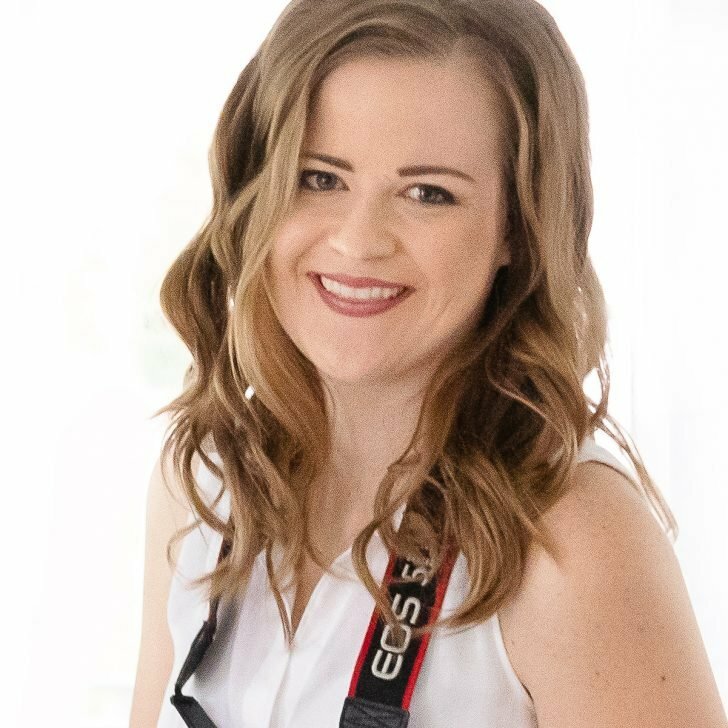 Once cut, use your hands to roll each ball into a long strip about 1/2 inch thick and 20 inches long (if making 8 larger pretzels, roll 1 inch thick and 24 inches long). 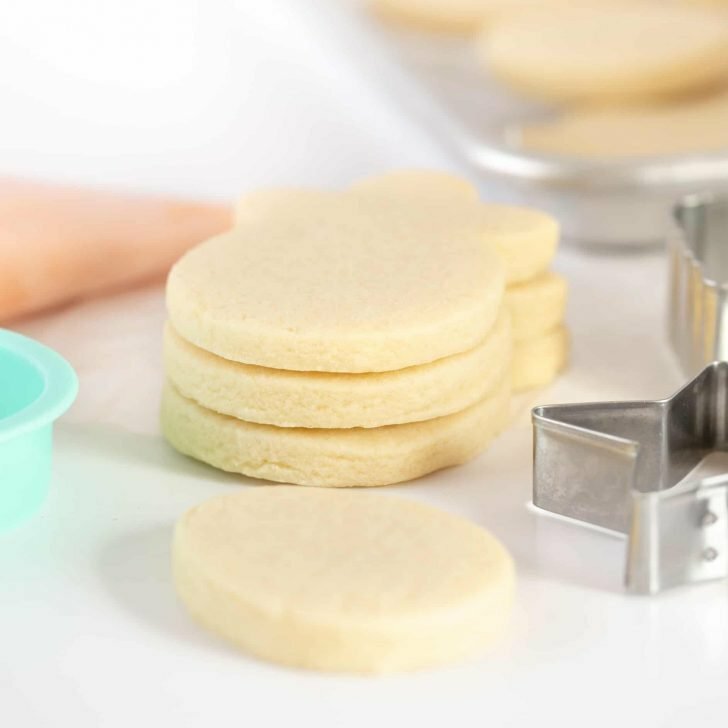 Tip: If rolling 1/2 inch thick, the baking time will be around 7-8 minutes. For the larger 1 inch thick pretzels, bake for 8-9 minutes or until lightly golden brown. First, line a baking sheet with parchment paper. 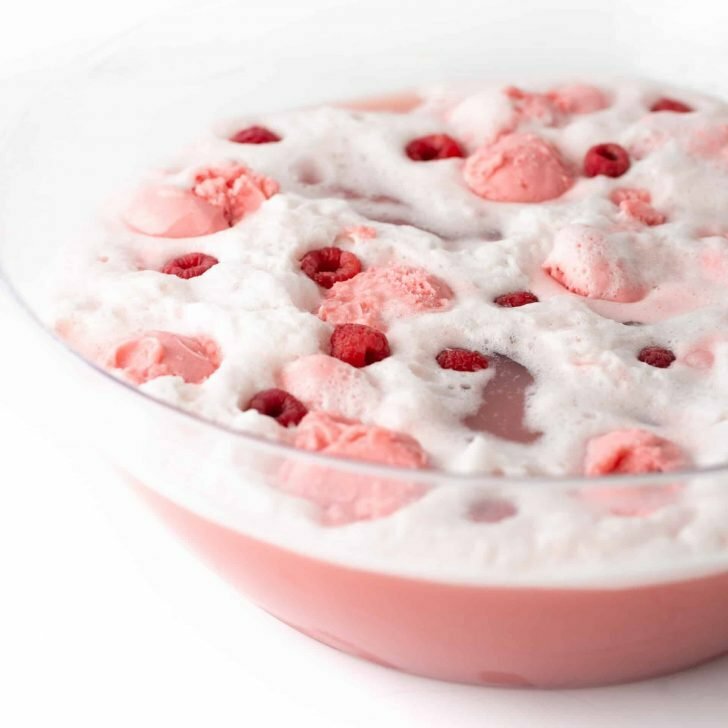 In a medium bowl, mix together 2 cups warm water and 2 tablespoons (not teaspoons) of baking soda. 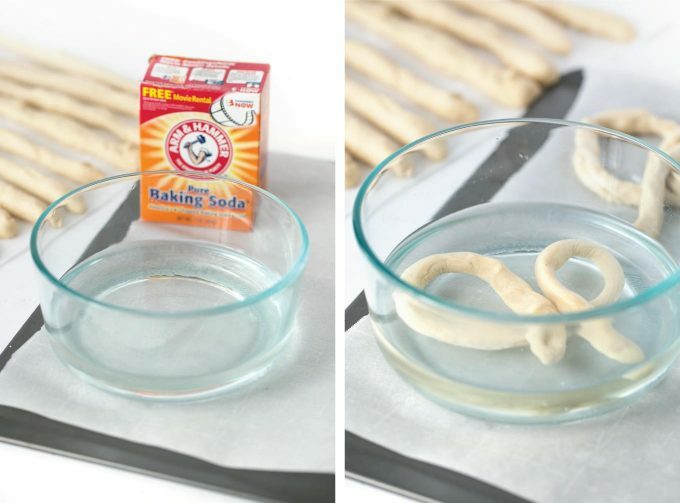 Dip each dough strip in the baking soda mixture for 1-2 seconds then quickly form into a pretzel and place on baking sheet. See video below on how to twist a pretzel. Sprinkle with coarse salt, if desired (we use a coarse sea salt but you could also just use regular salt). If you’re dipping these in salted butter, you could omit the salt. Tip: For an even easier recipe, skip forming them into pretzels and just leave them as pretzel sticks. Bake at 425 degrees for 7-8 minutes until pretzels are a light golden brown (my oven typically takes 8 minutes). Use a pastry brush or spoon to brush warm pretzels with melted butter. Tip: For Cinnamon Sugar pretzels, mix together 1/2 cup sugar and 2 teaspoons cinnamon and then roll each pretzel (after you brush on the butter) in the mixture! Enjoy warm, straight from the oven! Use a spoon or pastry brush to cover the tops in salted butter. This is what truly gives it that mall pretzel taste – don’t skip the butter! You can also dip them in cheese sauce for the ultimate homemade mall pretzel. 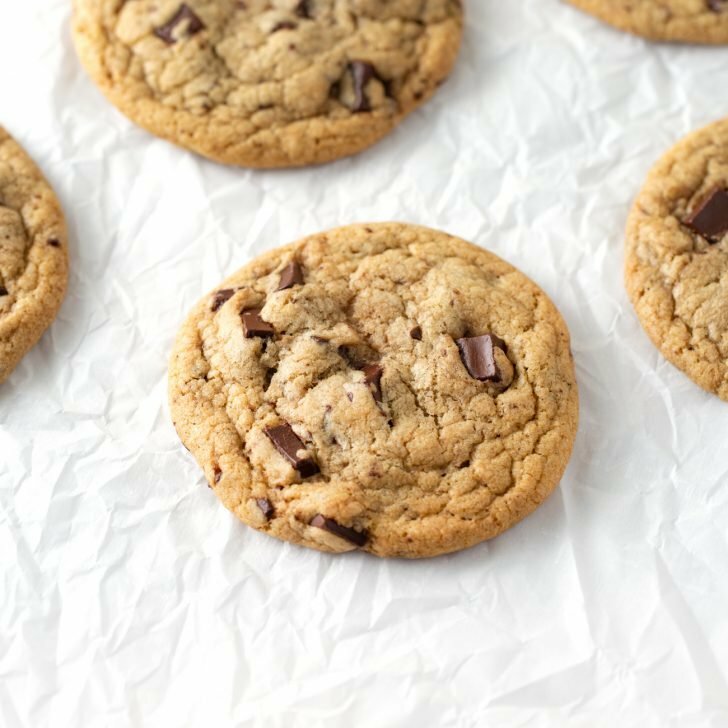 Tip: Where I normally use unsalted butter in baking, these need salted butter for dipping. Unsalted just doesn’t taste good here! How to reheat homemade soft pretzels? These are best fresh, but can also be stored in an airtight container or bag for 1-2 days. I will say that after 1-2 days, they lose their fresh taste & soft texture, but they’re still edible. How to freeze homemade soft pretzels? If you do not plan to eat them right away, let them cool them freeze them in an airtight bag (for 1-2 months). 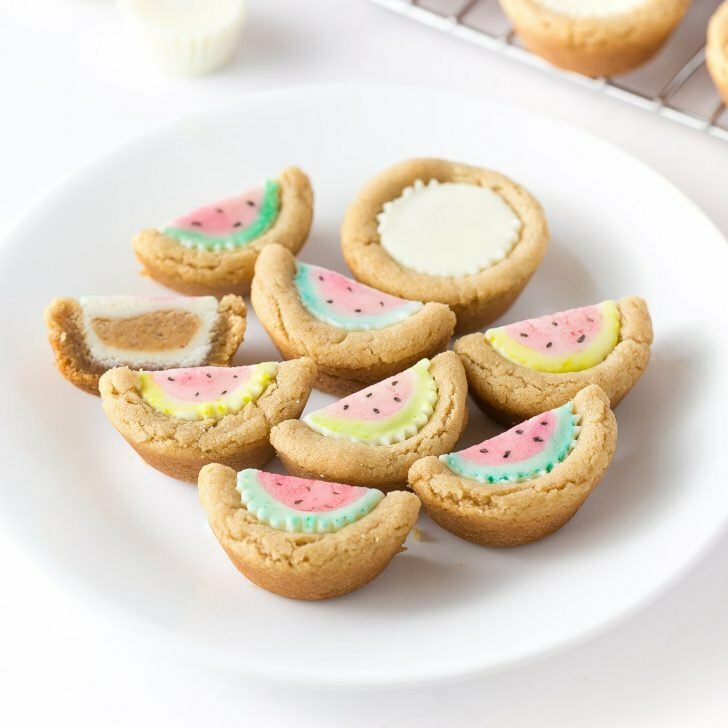 To get them to taste the most fresh again, pop them into the oven at 350 degrees for 5-10 minutes until they’re heated through. How to store homemade soft pretzels? Store in an airtight container or bag for 1-2 days, then use the instructions above to reheat or freeze. I will say though, these are best served fresh and warm! 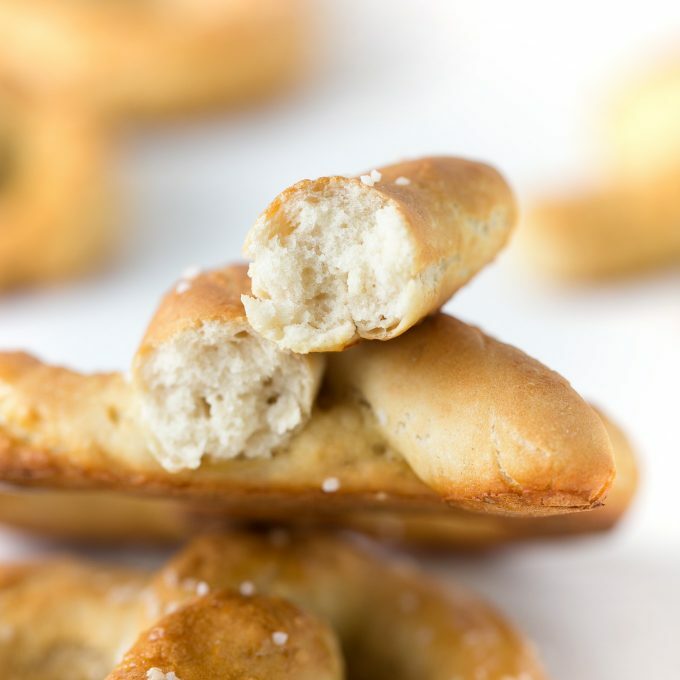 Recreate those soft, butter mall pretzels at home in under 30 minutes (from start to finish!). 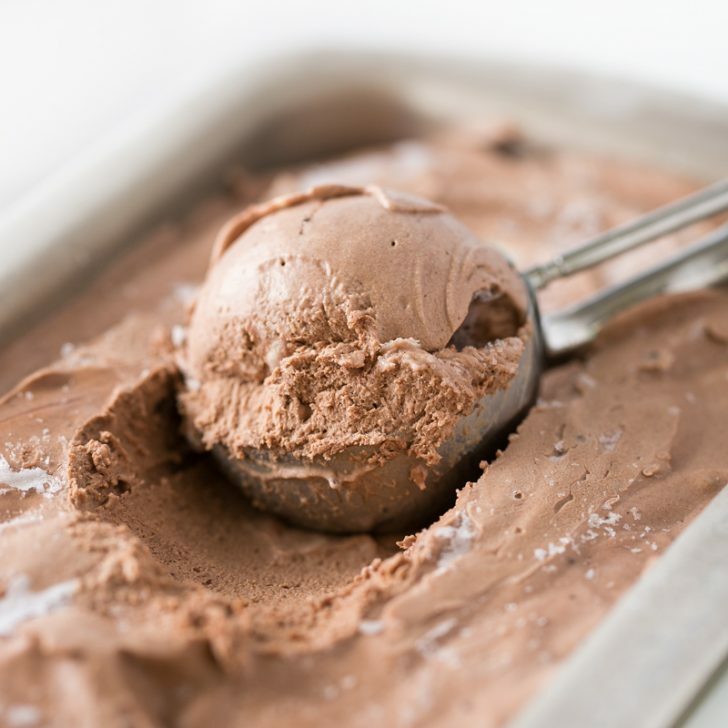 No mixer needed - just a spatula and a few simple ingredients. 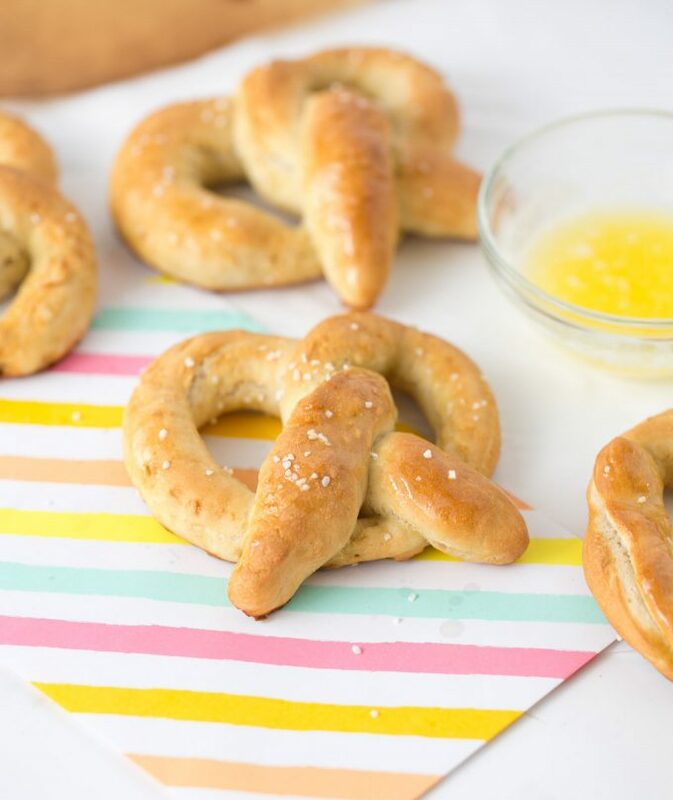 Homemade soft pretzels are perfect for after-school snacks (or late night craving), a fun summer activity, or party snack. 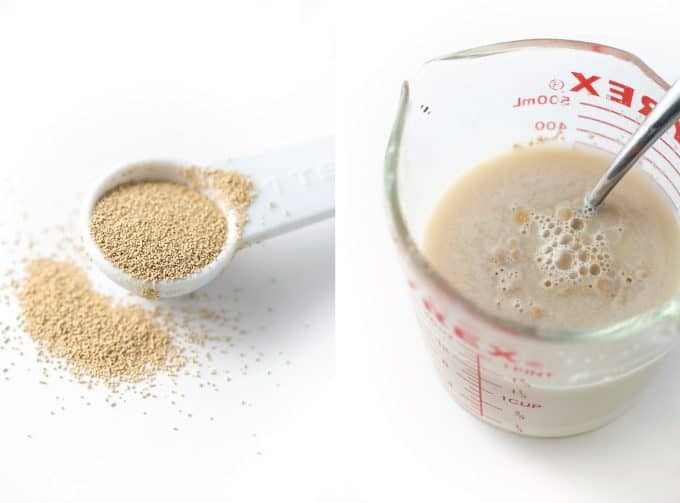 In a medium sized bowl or measuring cup, stir together 1.5 cups warm water, 2 packages of yeast, brown sugar and 3 tablespoons of melted butter. You can get the warm water directly from the faucet - no need to heat it up more. Let sit for 5 minutes. While the yeast is proofing, mix together the flour and salt in a large bowl. Use your hand to create a crater in the middle of the bowl. This is where you'll pour the water mixture. After the 5 minutes have passed, give the yeast mixture a stir and pour into the crater you created in the flour bowl. 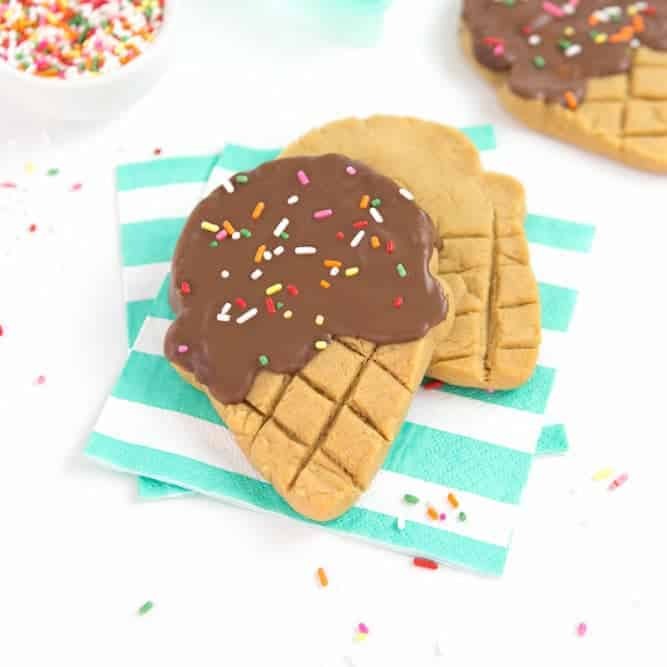 Use a spatula to mix the dough until it's combined. Once all the flour is incorporated, use your hands to knead the dough into a solid ball. This should only take 1-2 minutes tops (any longer and you'll overwork the dough). 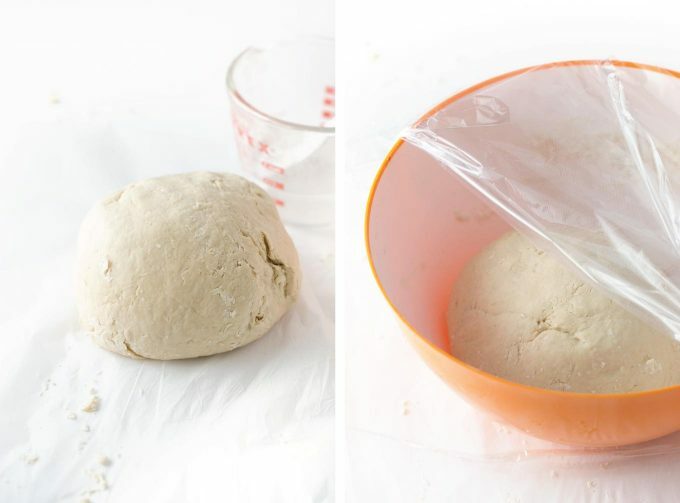 Place the dough ball back into the bowl, cover the bowl with plastic wrap (or a clean dish towel) and let sit for 10 minutes. This will allow the dough to rest & rise a tiny bit (it won't rise much, which is fine). 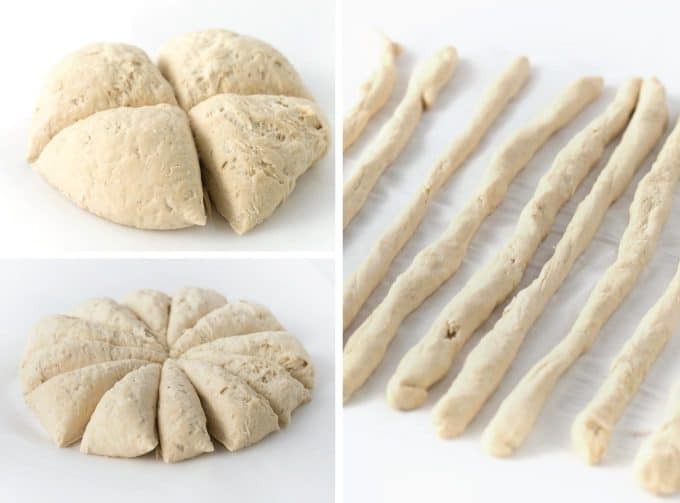 Using a knife, cut the dough into 12 even sections (you can make larger pretzels by cutting it into 6-8 for sections). Once cut, use your hands to roll each ball into a long strip about 1/2 inch thick and 20 inches long (if making 8 larger pretzels, roll 1 inch thick and 24 inches long). Tip: If rolling 1/2 inch thick, the baking time will be around 7-8 minutes. For the larger 1 inch thick pretzels, bake for 8-9 minutes or until lightly golden brown. First, line a baking sheet with parchment paper. 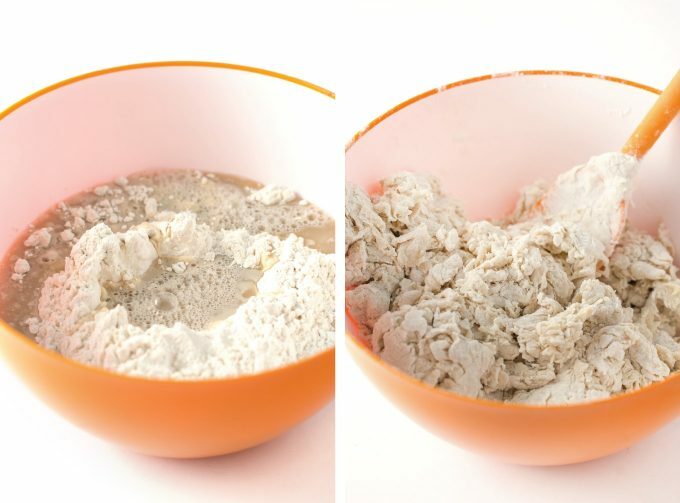 In a medium bowl, mix together 2 cups warm water and 2 tablespoons (not teaspoons) of baking soda. 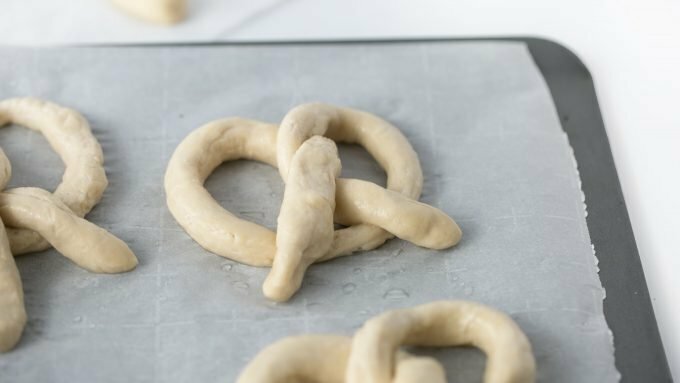 Dip each dough strip in the baking soda mixture for 1-2 seconds then quickly form into a pretzel and place on baking sheet. * See video above for how to twist a pretzel. Sprinkle with coarse salt, if desired (we use a coarse sea salt but you could also just use regular salt). If you're dipping these in salted butter, you could omit the salt. Tip: For an even easier recipe, skip forming them into pretzels and just leave them as pretzel sticks. Basically like breadsticks. Bake at 425 degrees for 7-8 minutes until pretzels are a light golden brown (my oven typically takes 8 minutes). Use a pastry brush or spoon to brush warm pretzels with melted butter. Enjoy warm, straight from the oven! 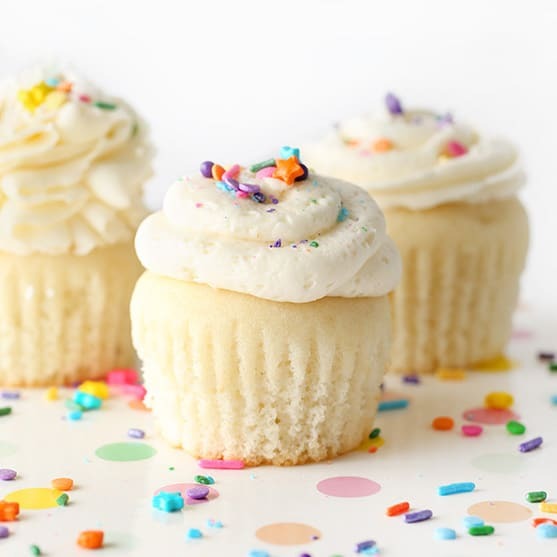 Use a spoon or pastry brush to cover the tops in salted butter. This is what truly gives it that mall pretzel taste - don't skip the butter! You can also dip them in cheese sauce for the ultimate homemade mall pretzel. Where I normally use unsalted butter in baking, these need salted butter for dipping. Unsalted just doesn't taste good here! Tip: For Cinnamon Sugar pretzels, mix together 1/2 cup sugar and 2 teaspoons cinnamon and then roll each pretzel (after you brush on the butter) in the mixture! Storing/Freezing: These are best fresh, but can also be stored in an airtight container or bag for 1-2 days. I will say that after 1-2 days, they lose their fresh taste & soft texture, but they're still edible. If you do not plan to eat them right away, let them cool them freeze them in an airtight bag (for 1-2 months). 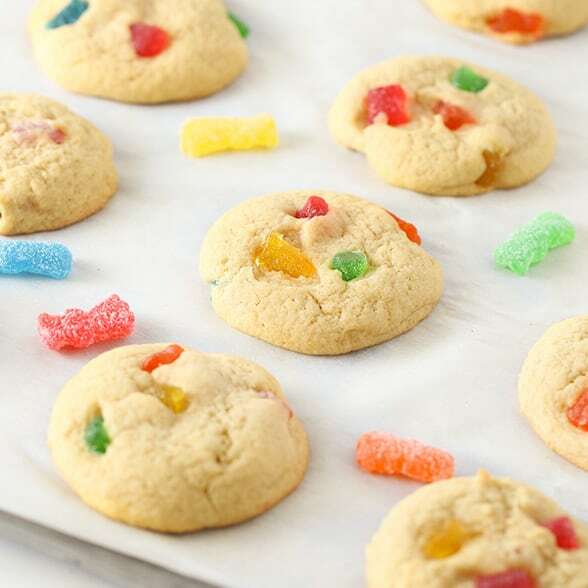 To get them to taste the most fresh again, pop them into the oven at 350 degrees for 5-10 minutes until they're heated through. I gained 10 lbs from these pretzels, but I cannot stop eating them. 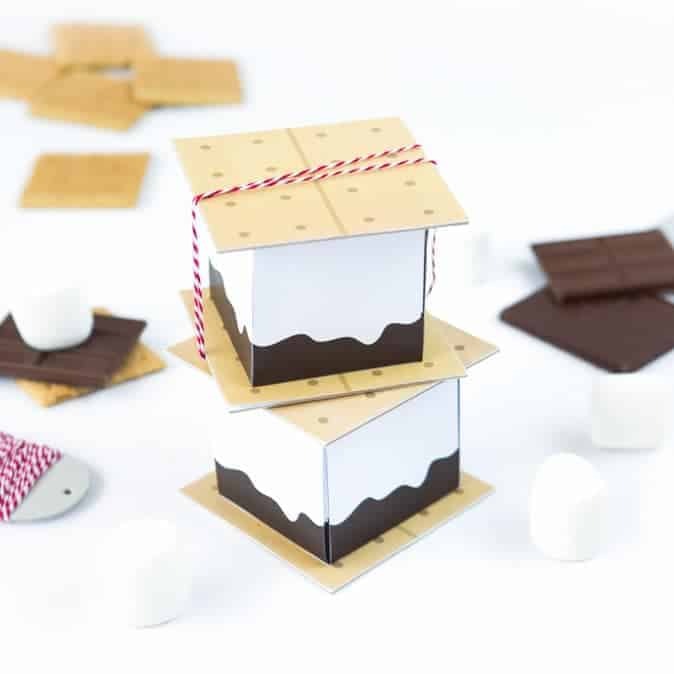 The texture is perfect and they melt right in your mouth! Simply delicious!